This is a project report of a 10-session course entitled ‘The Science of Acting’, which took place with prisoners at Her Majesty's Prison (HMP), Brixton, London, UK in 2017. Whilst the course was not community engagement with global health, the approach aimed to foster understanding and empathy between participants and others, and so may be valuable for those interested in building connections and understanding within and between groups involved in global health research. This particular ‘Science for Acting’ course was commissioned by 'Veterans Mental Health Transition, Intervention and Liaison (TIL) Service - London and South East' as part of a set of interventions with ex-servicemen in prisons in London. The course was not presented as a therapy, nor directly as an approach to improving mental health yet that is not to say that there were no therapeutic benefits to the approach. 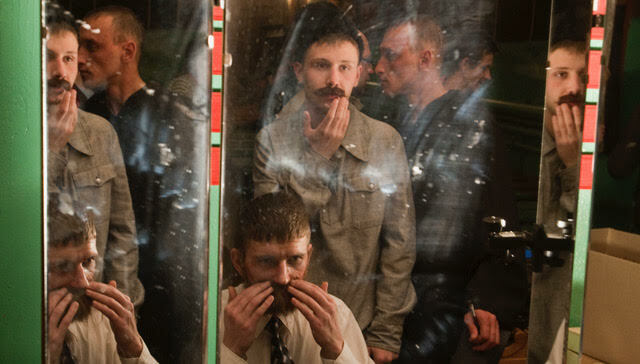 Instead the project intended to use theatre practice to build participant’s insight, awareness, understanding of themselves and others, and their sensitivity to others. Common issues expressed by the participants were related to feelings of loss of control; shame, frustration and anger; mistrust; difficult relationship dynamics; and perceived unfairness in their treatment and conditions. Things which may be relatable to situations for some patients experiencing ill health, especially stigmatised conditions within circumstances of poverty. The course was devised and delivered by Alex Dower, Artistic Director of Creating Freedom. Alex trained in the 90s with Augusto Boal and worked for two years with Geese Theatre Company, doing work inspired by many of Boal’s theatre practices in prisons within the UK & Ireland (Often Boalian methods such as forum theatre are used in Community Engagement). Alex later trained at the ‘School of the Science of Acting’ and it is principally this methodology, which guides his current work. The ‘Science of Acting’ is an approach developed by Sam Kogan, a Russian director and teacher who set up the School of the Science of Acting in 1992. The approach asserts that in order to play a character, one needs to think the character’s thoughts, i.e. ‘recreate’ a consciousness. The method’s directness and accessibility means that people with limited experience are able to adopt the techniques and not only quickly acquire a high standard of performance and skills and confidence in self-expression, but also gain deep insights into human thinking and relationships. Reported benefits for the student/actor have been: awareness, flexibility of thinking, sensitivity to others, empathy, self-discipline, confidence, improved levels of engagement, attention & focus and the ability to resolve difficult personal issues and relationships. 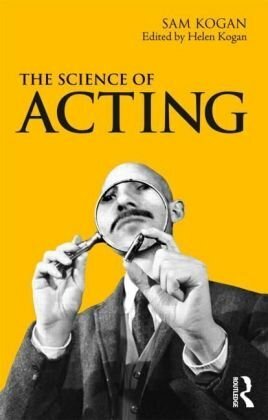 The approach has been documented and published in a book: Science of Acting by Sam Kogan and published in 2010. Imagination – thinking in pictures and impressions- In which participants explore the potential of their own imaginations and are introduced to how this might be used in creative work and self-expression; in creating purposes for the future; and also in order to ‘put ourselves in other’s shoes’. ‘Invisible thinking’ – Increasing an awareness of the thoughts that we don’t usually see but which run our lives. Improvisation – Practicing thinking in the thoughts of another character. ‘Finishing off’ unwanted thinking- This is a process in which, through asking simple questions about thinking, participants are encouraged to take their thoughts beyond the point where they get interrupted (by fear). By looking at and understanding our ‘invisible’ thinking (increasing awareness of our thinking and patterns of thinking) we slowly gain more choice over our thoughts (and resulting emotions). Contracts – natural / unspoken / social contracts - Unspoken agreements or expectations – underlie all our relationships and interactions. When we perceive (usually subconsciously) that a contract is unfair or has been broken, we do things to rebalance it (such as take revenge), or simply sulk. This is the cause of much unhappiness, antagonism and relationship breakdown. Participants are invited to examine where they have broken contracts and why, and how they react when they perceive others to have broken contracts with them. 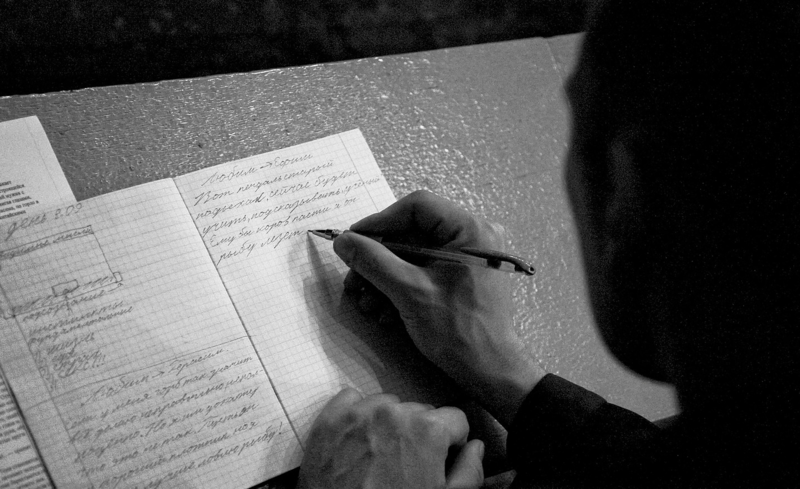 For prisoners, as for anyone, this can be a profound exploration. It often leads to resolution of issues and increased peace of mind. Of course there were some challenges working within such a context, which highlight the importance of having a skilled and experienced facilitator, a flexible approach to planning, and an awareness of group dynamics and a confidence and ability to work with these. Some of these reflections are likely to be pertinent to those working within the particularly difficult contexts for Community Engagement such as with the most hard to reach groups such as migrant populations or communities living in informal settlements. Lack of stability and consistency in the daily life of the prison meant that often sessions were either delayed or postponed, and/or that individual participants were unable to get to sessions. One of the men was very resistant to taking part in any kind of acting exercise and as he was quite a dominant personality this did impact the course. This had to be carefully managed. An ethical concern, which arose, was whether it might be damaging to offer something of value to prisoners, which then abruptly ends. Whilst the course leader can try to mitigate against this by ensuring there is a clear totality to the material presented and explaining how to use the material going forwards. Finite funding and project life cycles mean that this is likely to be a persistent concern as in Community Engagement initiatives that do not have sustainable funding. Despite these challenges participants in HMP Brixton were enthusiastic about the sessions and the material covered in them (as reported in the post-course questionnaire). Some participants voluntarily reported that they were dealing with day-to-day issues differently – both in the prison and in their communication with family outside. And a follow-up visit two months later revealed that lasting change might have occurred. Staff reported that the prisoners on the course were more out-going; less guarded and appeared happier and more engaged with them and other prisoners. This project took place within a uniquely challenging context and with a particular group of people with unique personal challenges, yet the approach ‘The Science of Acting’ may be of value to working with other groups involved in Community Engagement with Global Health or public health research (clinical staff, frontline health workers, community representatives, patient groups etc.) in helping to build empathy, understanding and communication within and between such groups.